Hi guys, just picked up an 08 turbo and thought I should join the forum as I used it a bit when researching these beasts. Only done a few hundred miles and really enjoying it so far. Was surprised how quiet the turbo exhaust was compared to a GTS model but guess that’s typical for a turbo. 1) Mine has PDCC and it’s quite annoying the noise it makes at idle. Is there anything to quieten it down? Assume it’s the pump that’s making the whirring noise. 2) what tyres do people recommend. It has Pirelli’s on currently but see that Yokohama V103’s are also N rated. 3) received a “check hitch” warning message today. Could be linked to the aftermarket stereo fitted as it was the first time I connected my phone. Either way there doesn’t seem much info on the web about that error code. Cheers mate. They are surprisingly tame until you open the taps. Encourage alternative fuels, use all the petrol! Had a 964 10 years ago when they were “cheap” and nobody wanted one. Unlikely that we will ever see those days again. Well, I’ve solved my first error code. 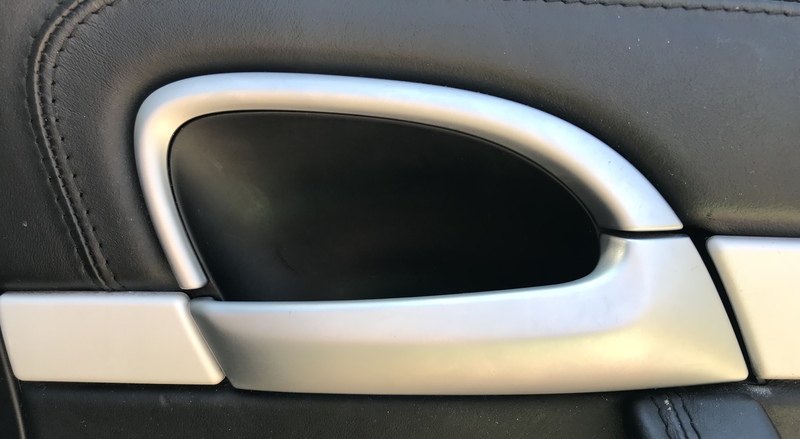 I must have bumped the tow bar switch when loading things into the car yesterday. It wasn’t fully retracted and that triggered the code “check hitch”. I don’t expect them all to be this simple but at least I’m back to error code free. Quick update, 2 weeks into ownership. Fitted new tyres, went with Michelin latitude sport 3. Got a cracking deal from national tyre chain after finding a 15% off voucher online. Almost felt like I was robbing them at £827 for a full set of 295/35/21’s fitted, balanced etc. 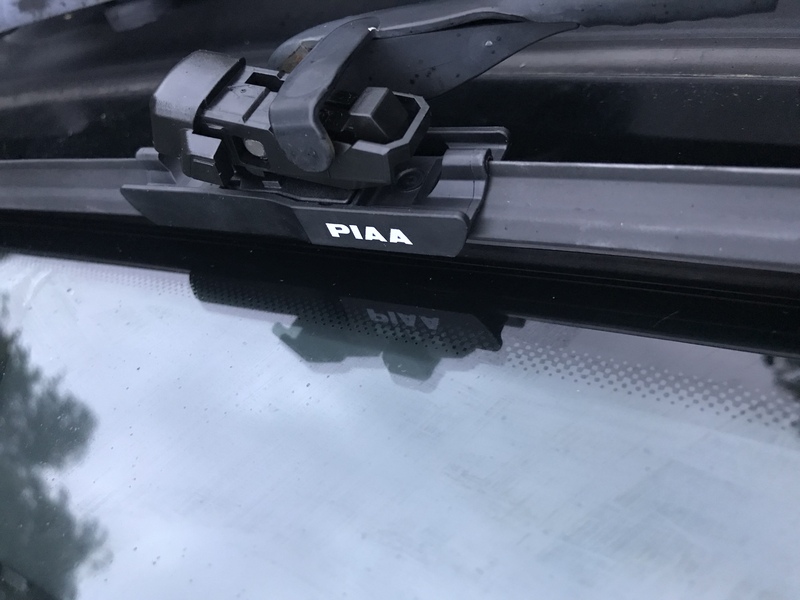 The wipers on the car were hopeless so have replaced with PIAA. Size 26” if anyone is interested. Half the problem is usually the windscreen itself but I have found these wipers to be superior to the basic £5 jobbies. Have identified a few little refurb jobs to keep me busy. 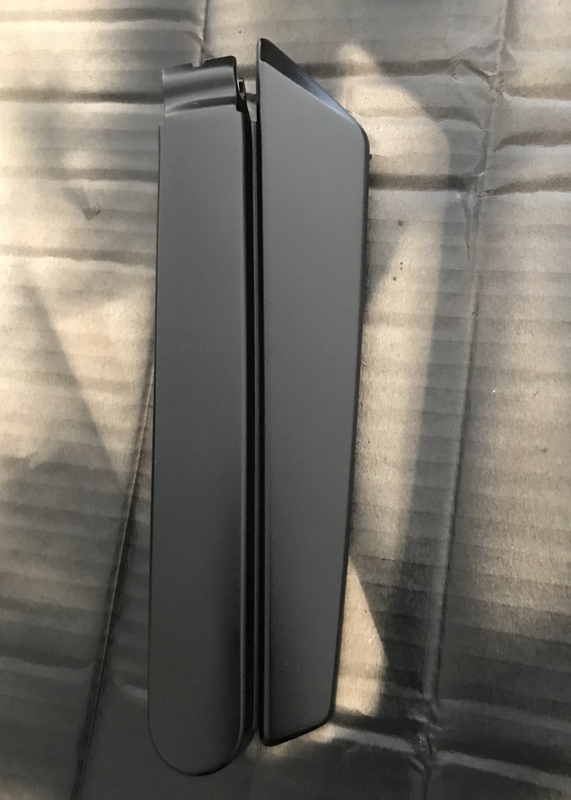 My faded wiper cover had been bugging me so rather than buy a new one for £35 I decided to spray with some spare satin black paint I had in the garage. Only problem is now I’m going to have to paint the rest of the wiper arm as the cover looks too new. 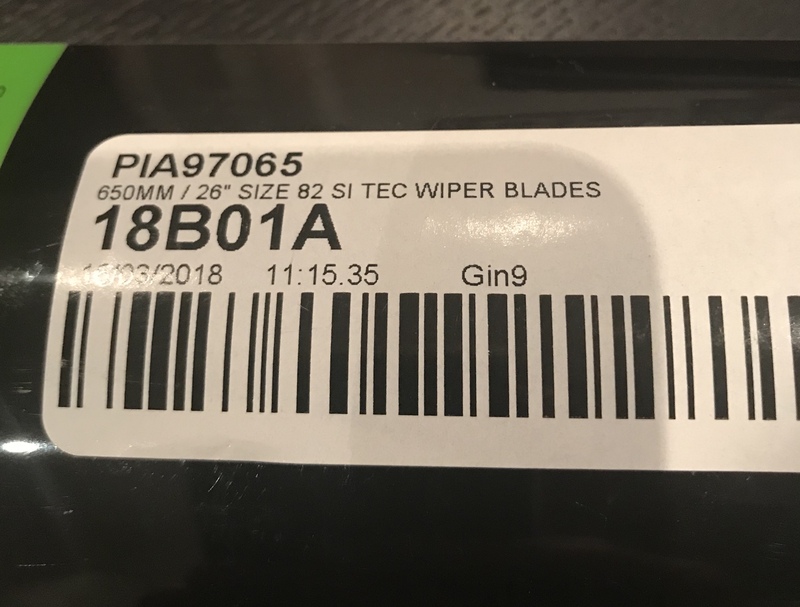 Here are the wiper specs. I had a full fat rangie and these aren’t nearly as comfortable. I’m really struggling with the seats. On twisty roads my cayenne handles like a sports car and I forget I’m driving an suv. The rangie would always remind me to slow down on the bends whereas the Porsche just says to me “go faster”. Highway driving, I’d take the rangie. Anything remotely twisty and this is a lot of fun. I’d be interested to hear what the GTS seats are like and if any better to the comfort ones (which are anything but). How much were the PIAAS? My last drive down the country lanes was great in the rain, other than struggling to see out of the windscreen due to hard juddering wiper blades. 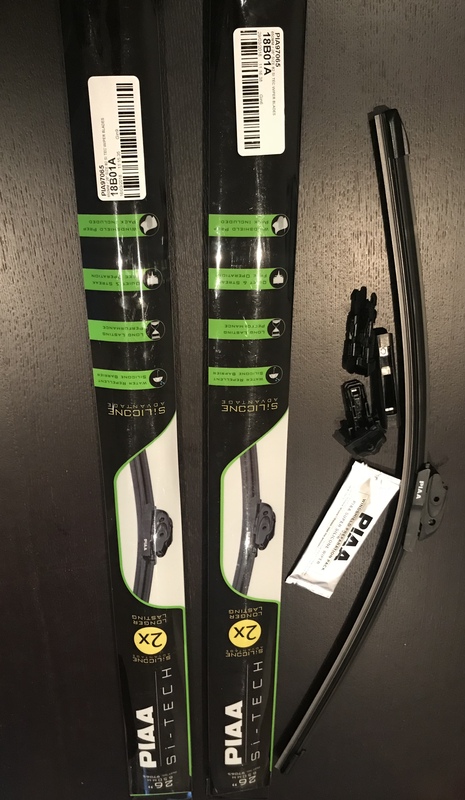 As I needed to pop into Halfords (to get some CHF202 mineral oil to top up the PAS and a litre of 5W40 engine oil to top up the engine) and thought I'd get some wipers as well, but they wanted £38 for a pair of Bosch A943S Aerotwin wiper blades. Just ordered exactly the same from Opie Oils via Ebay for £19.40! 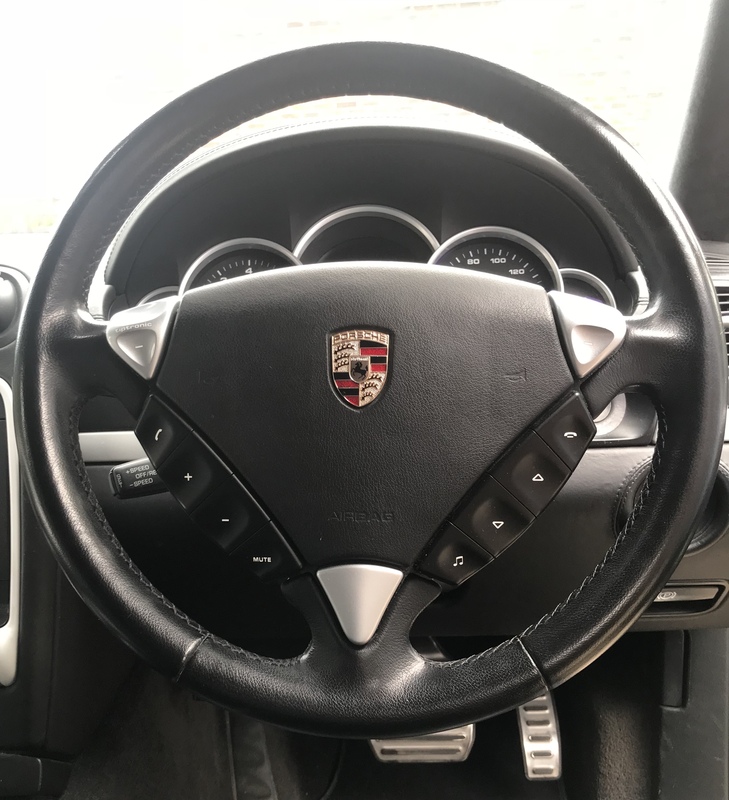 I find the drivers seat very comfortable, especially as the lumbar support can move up and down, but it is on the firm and narrow side. The rear seats are like park benches IMHO! 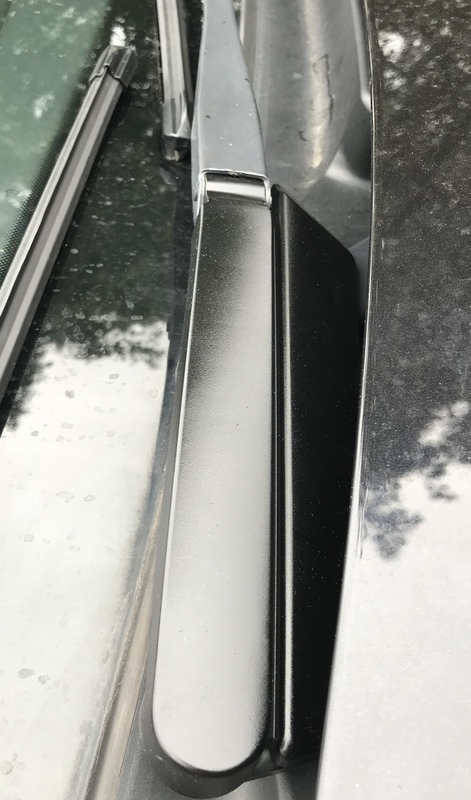 Nice neat job spray painting the wiper trims, it looks very nice. 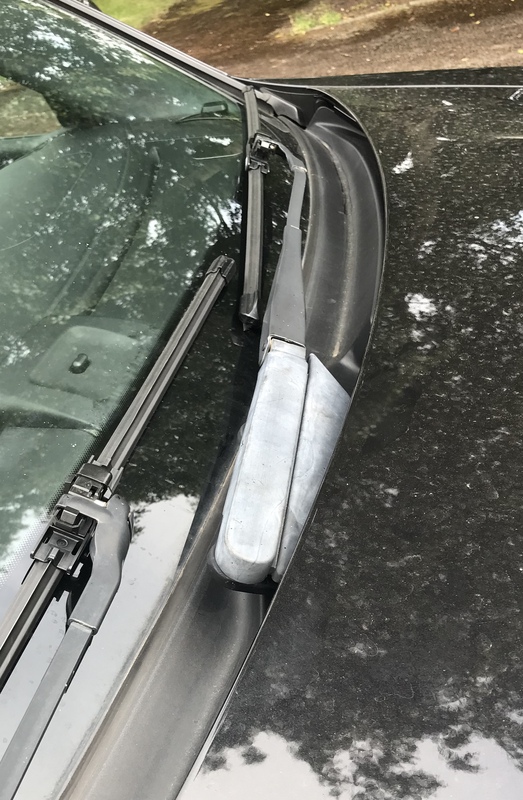 Wipers were £55 delivered from an eBay seller. I don’t intend on having to replace them for a while so was worth the extra £20/£30 over stock wipers. I’m sure the bosh do exactly the same job if the windscreen itself is clean. 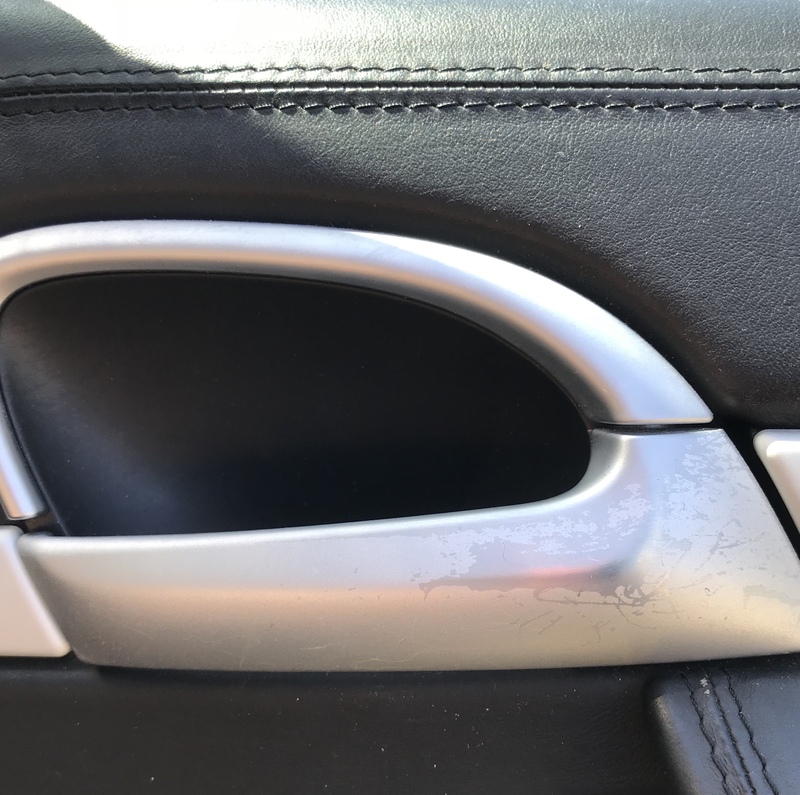 Some of the interior trim pieces were letting the car down and really bugging me so this weekend I tackled installing a new door handle (£25 second hand from ebay) and sanded down the gear surround. I was originally going to paint this but when I saw how well it responded to sanding, I decided to go with the "brushed alloy" look. Still have the gear knob insert to paint. apologies for the order of the pics but you get the idea. Almost 2 months into ownership and time for a few more updates. Had the Propshaft bearing go last week but managed to get that fixed quickly (separate thread on this). 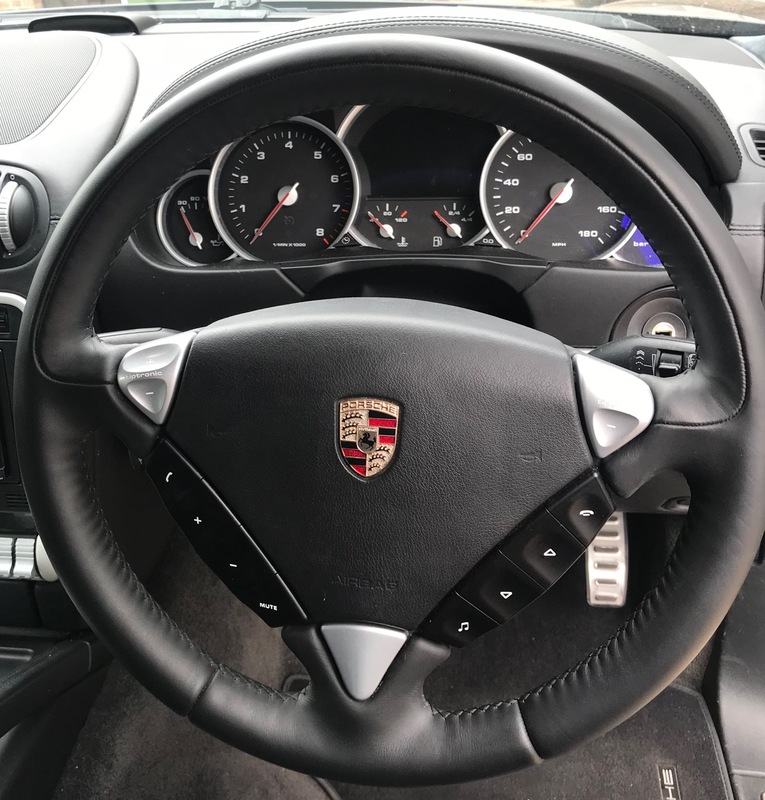 I’m still struggling to get comfortable with the seats (am on the lookout for some GTS seats) but fortunately my wife drives this car more than me. 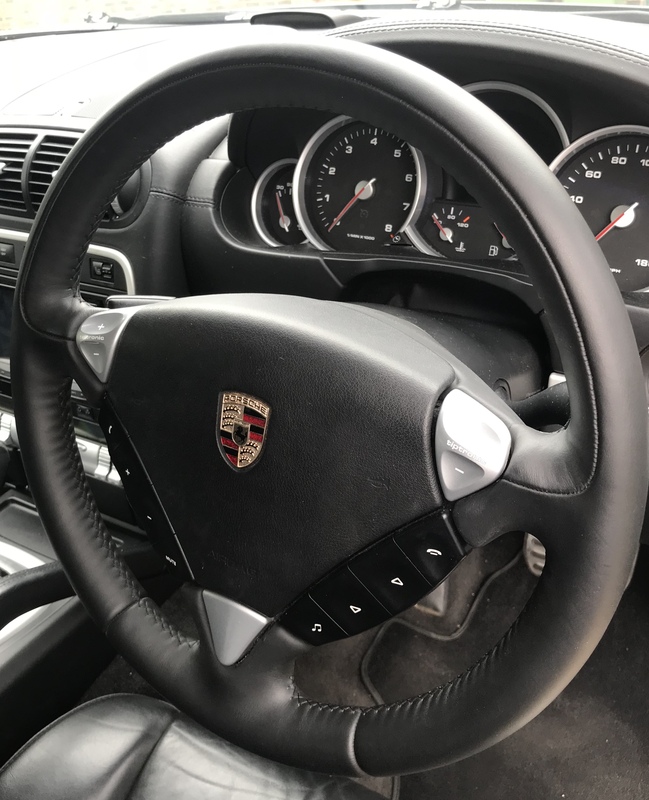 The steering wheel was in need of a refurb but I managed to find an almost new Turbo S wheel. I think this was an option on the std models but I always see it on the Turbo S. Anyway, it’s thicker than the std and feels so much nicer. There are lots of nice wheels out there but I wanted to keep something close to stock. Have had it sitting in the corner for a month but finally fitted it today. Was avoiding it because access to the battery is a complete pain in the arse on these cars. First time I’ve ever unbolted a seat to access the neg terminal. Thought I had F##Ked up when I started it back up only to find a PSM and suspension fault warning but both cleared within 50m on driving. Think they just require a few revolutions on the wheels to get calibrated again. 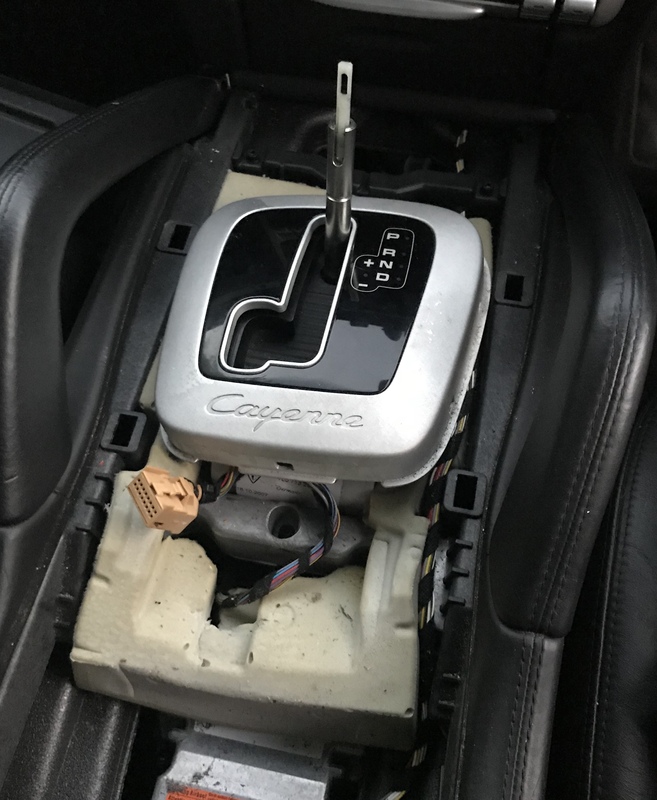 Can post a step by step guide to replacing the wheel/removing the airbag if anyone is interested. How is the car going now, any further issues? Would you recommend one? Have done about 4000 miles since buying and no other issues to report other than the boot hatch struts are failing. Bought some new struts last week but I`ve been too busy to fit them. Had kind of forgotten about the PDCC whirring noise. Had autofarm and a local Porsche OPC both take a look and they looked at me as if to say "what the hell am I on about". Basically its just the normal sound. I`ve played around with the seat setting a bit more and found a more comfortable set it. Its a different seating position to the Ranger Rover where you are higher up (a little more bus driver then sport car). My wife loves driving it but she is starting to talk about a Mecan so will take a proper look at those over the xmas break. If so, then I`ll sell this and go back to a Rangie as we still need a decent sized family car. I`d recommend them as they are a lot of fun. Not the most practical for the school run (which ours has mainly be used for) given its poor economy. They are a hell of a lot of car for the money. We have a TDV8 Rangie Sport as the daily workhorse for the family and dogs. I love it - so comfortable and capable. We get about 19mpg combined in that. There's a suspicion of a sticky turbo actuator problem developing on it though and my wife is on about changing. 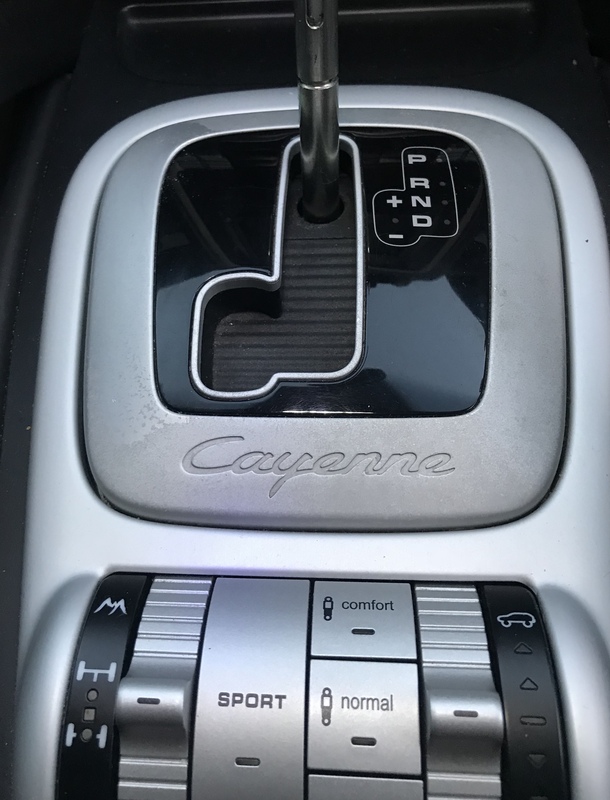 We've always liked the cayenne though and I keep coming back to them. Not that the grass is always greener though, I'm aware these cars have their own peccadillos, but wonder just how common the problems are, in particular the engine issues. 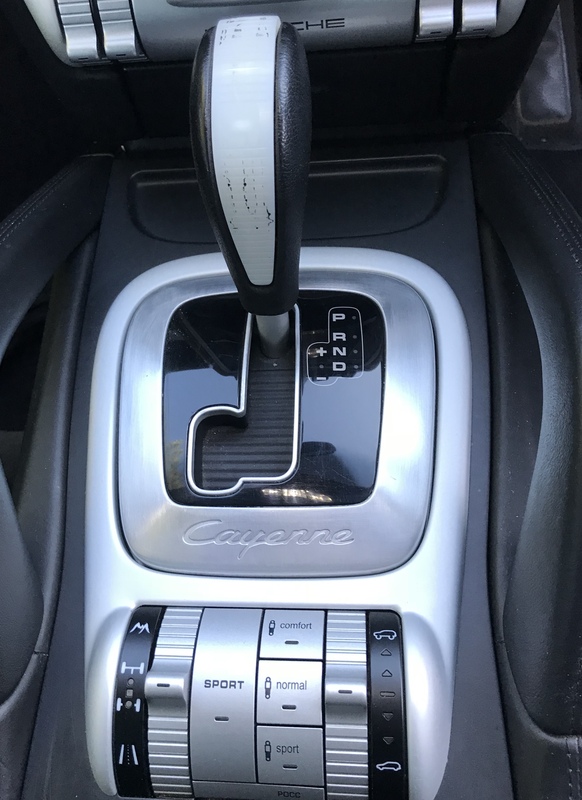 Im a bit of a fan of the Cayenne .. it comes second on my list after the Boxster though and thats money no option and any Porsche so you kinda see i rate it pretty high ! Downside of the Turbo is always going to be fuel econemy .. but unless you want a rocket ship then you dont have to get a Turbo version .. dare i say it the 3.0 diesel engine isnt that bad . Why do i like them ?? i had the pleasure of a training course driveing them off road .. OMG is all i can say .. a 45 degree angle so i was looking out the passenger window and all i could see was the grass .. hill holding .. hell we stopped on a hill faceing upwards ... no handbrake , in gear , then i tryed to get out of the drivers side to swop with another guy .. i couldnt get the dam door open far enough due the the gradient we were on lol . Awsome cars off road and thats the first gen Cayenne .. my lasting impression of that day is why dont farmers buy these .. the off road performance was impressive and the cost is compairable to a range rover or a land rover . Issues .. no set ones ( depending on what engine ) but i will say you need to keep an eye out for water leaks inside .. ill go into detais if you need it but just to say a lot of the wiring is under the carpet .